Forty years of making memories that last a lifetime. 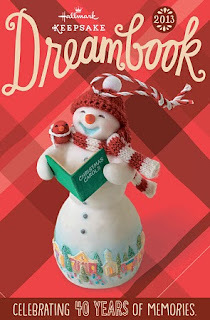 2013 marks the 40th anniversary of Hallmark Keepsake Ornaments. It’s a time for us to reflect on the past, celebrate the present and look forward to the new memories the future will bring. Lucky for us, that’s what we do best. Join us in celebrating four decades of turning memories into magic. Receive 200 Bonus Points for every Keepsake Ornament you buy during Ornament Premiere Weekend, July 13 – 14. After that, receive 100 Bonus Points for every Keepsake Ornament you buy the week of July 15 – 21. Plus, during Ornament Premiere Weekend (July 13 – 14 only), get an extra 1000 Bonus Points when you purchase 10 Keepsake Ornaments and another 1000 when you purchase 15. Here's a look at the first ornament of a new, 12-piece PEANUTS® series by Keepsake Artist Jim Kemme. A new ornament will be released monthly for a whole year of collecting fun. 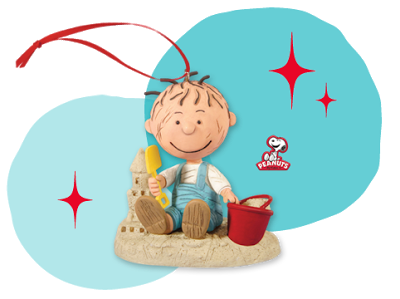 Each ornament features a member of the PEANUTS® gang celebrating the season in their own special way. This first ornament of the series, Pigpen, will be available beginning Ornament Premiere. 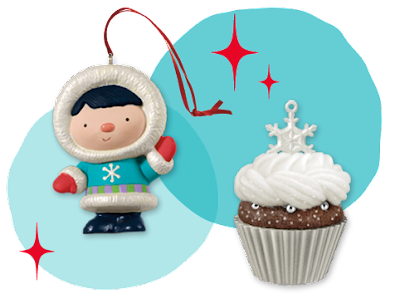 FREE for Hallmark Keepsake Ornament Club members with the purchase of a Keepsake Ornament priced at $7.95 or more. 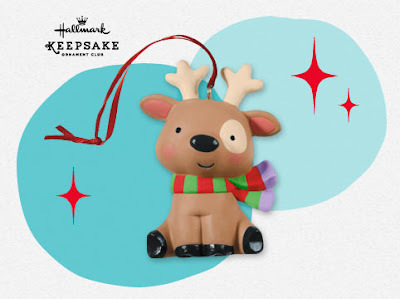 Pick up your Keepsake Ornament Little Reindeer by Keepsake artist Tammy Haddix. Available only to KOC members while supplies last. This one will go fast, so get there early! Your chance to win, just for coming in. It’ll take just a little luck to get your hands on A Holiday Hello, styled by Tammy Haddix to match her Little Reindeer, and a repaint of It’s Snowing Sweetness by Ruth Donikowski. Visit your Hallmark Gold Crown store during Ornament Premiere Weekend, July 13 – 14, to register to win one of these Special Edition ornaments. We’ve been keeping our 2013 Keepsake Ornament display under pretty tight wraps, but once it’s unveiled we encourage you to take a very close look. In fact, we want you to scour it until you’ve found all 40 clues hidden within the display as part of our 40th Anniversary “Seek & Find” game. Plus, during Ornament Premiere at your Hallmark Gold Crown store, you can learn how to enter THE WIZARD OF OZ™ 75th Anniversary Sweepstakes for a chance to win a trip to L.A. for four to see Andrew Lloyd Webber’s new production of THE WIZARD OF OZ™. *I was not not compensated in any way, for sharing the good news about Hallmark Keepsake Ornaments. All thoughts and opinions are 100% my own.